This book is an ARC sent to me by David J. Walker. It is due in stores October 1, 2011, but, can be found online now. Kirsten is an ex-cop turned PI (owner of the detective agency: Wild Onion, Ltd.), and Dugan, her husband is a lawyer in his own small practice. Together they solve crimes. 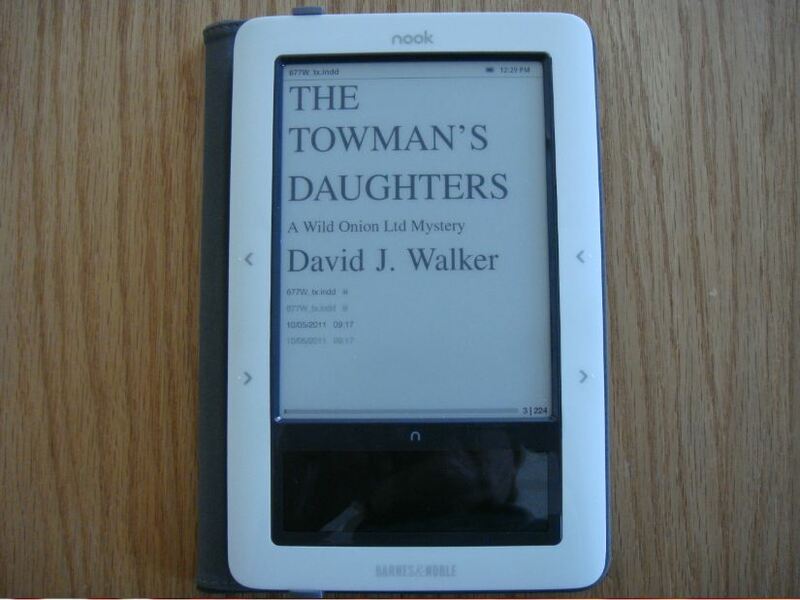 In “The Towman’s Daughters” Kirsten is out of town and Dugan is lucky enough to get her car towed. Arriving at Wancho’s Towing to reclaim his (errr, her) Camry, he finds himself in the middle of what appears to him to be a kidnapping. A large man (we later learn this is Tyrone Beale), with a gun, is pulling a young woman out the door, backwards. Dugan, slightly drunk, “accidentally” trips the man, the gun goes flying, and the girl ends up in the hands of a couple of nasty looking fellows….who take her away. When Kirsten returns from her trip, she and Dugan agree to let the matter drop. But try as they might….the problem comes back to them and expands. The girl Dugan “rescued”, as it turns out, is Juan Cho’s (the towing company owner) older daughter, Isobel. In addition to her now being missing, her boyfriend, Jamison Traynor, had hired Tyrone to protect her which he was trying to do when Dugan came along. Add in a bit more spice with a U.S. Senator, Jamison’s mom, Eleanor, two parents who do not want their kids going out, a non-profit organization “Hit the Rock” recently hit (rocked?) with a murder, and two very shady characters, and you have one fast, fun, intriguing, read. This is the 6th book in the series (Thanks David! )….start with “A Ticket to Die For”. It is $60 new on Amazon.com. No kidding, check it out.